Oil and gas workers are shifting to renewable energy jobs, but the current rate of growth in headcount is not fast enough to meet regional targets for the sector. While low oil prices have rocked the energy industry, renewables picked up steam last year, according to a new report by the Abu Dhabi-based International Renewable Energy Agency (Irena). More than 8 million people held green energy jobs globally, a 5 per cent increase from the previous year. The largest jump was in the solar photovoltaic (PV) segment, with 20 per cent more installations carried out last year around the world. 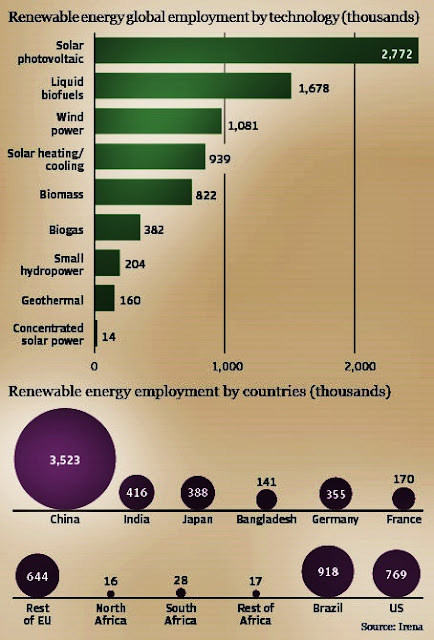 Irena said that solar PV was the largest renewable energy employer, representing an 11 per cent increase from the previous year with 2.8 million jobs globally. This is also the industry that is making record-breaking announcements in the UAE. These include Dubai’s Mohammed bin Rashid Al Maktoum Solar Park and the upcoming Abu Dhabi 350-megawatt solar PV tender. These projects tie into the country’s renewable energy target of 30 per cent in its power generation mix by 2030. “If the country achieves its renewable energy plans, it can create up to 91,000 jobs in 2030, most of which will be in solar PV," said lead report author and deputy director of knowledge, policy and finance at Irena, Rabia Ferroukhi. But despite diversification targets, the UAE’s renewable energy job sector is not moving fast enough, according to Marlon Atreides, Dubai-based regional business manager of global recruitment at Randstad. 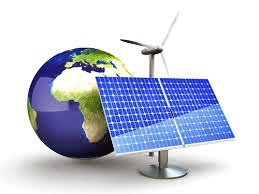 Renewable energy targets are discussed, but the government has an economic investment in the oil sector," he said. “There is an increase in headcount, but not as much as it needs to be to reach targets."